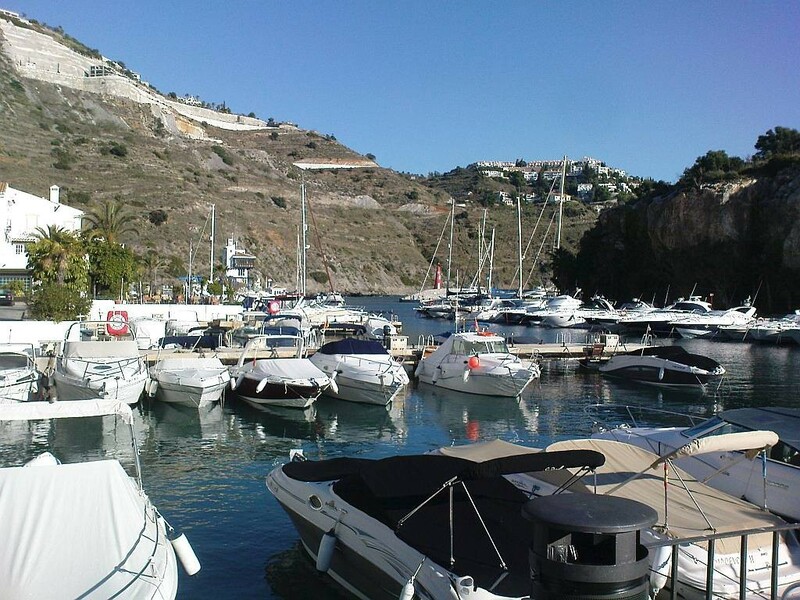 Located in the province of Granada is La Herradura's Marina del Este, which is ideally situated between the mountains and the ocean. La Herradura itself is an old town, it's also one of prettiest little towns in the Granada province and just less than 15 minutes east is the hidden gem, Marina del Este. It has amazing beaches and is famous for its marina with beautiful yachts and boats and of course its wonderful coast. 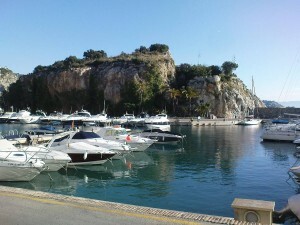 Also known as Puerto Deportivo Punta de la Mona, Marina del Este is positioned in a cove which appears to protect boats from rough sea conditions. The marina is surrounded by a rugged yet attractive, rocky breakwater. Best Alcazar hotel is a large, modern hotel with two decent sized swimming pools and situated right up on the ridge of the coastal landform. Various rooms offer some of the best views of the whole area. Hidden from some main roads, the hotel offers tranquility with wonderful surroundings and with balconies looking down onto the marina. Being a little hidden and out of sight is a 'feature' that adds much character to the marina and maybe that is why it has much appealing allure. However, if it's your first trip there you will notice that is not the easiest place to locate. Getting there from the N340 between Almuñecar and La Herradura there is the occassional sign post. You will need to turn off heading south onto a winding road. If you can locate signs to the Best Alcazar hotel, you are in the right direction. Then you will need to drive eastwards all the way down to the 'secretive' port and to the available parking area. The few small beaches nearby offer great areas for beach lovers to relax and although some are quite popular in the summer months, usually there are plenty of sandcastles to go around. One beach to the right of the marina has a superb restaurant offering the catch of the day. This small beach is a very popular meeting place for divers and has its own diving club.